WKN World office is very happy and proud to introduce to you today our new member! 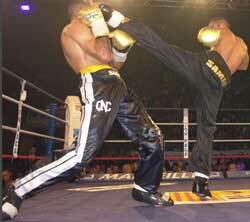 * (1989-2007) kick-boxing et box-thai. 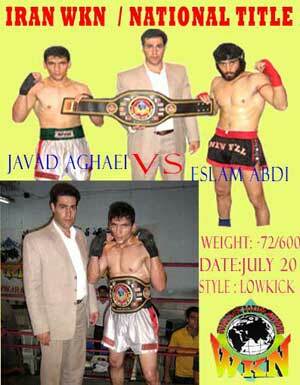 All WKN members and representatives wish good luck to WKN ALGERIA and WELCOME into the WKN FAMILY! 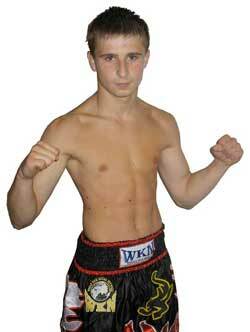 Alexandre LORENZONI THE NEW GENERATION OF CORSICAN FIGHTERS! With a victory in FRANCE/AVIGNON last month by KO in the 2nd round , Alexandre LORENZONI born and citizen of the beauty island of CORSICA in the Mediteranean sea is becoming one of the newest star fighter of Europe . 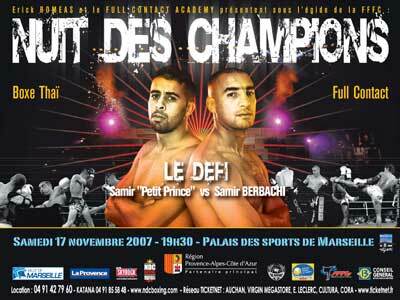 Beeing trained by the CORSICAN and WORLDWIDE LIVING LEGEND M. Toussaint ANADARELLI in AJACCIO , he wil participate soon in some WKN internatonal promotions and win his qualification to fight on the CORSICA CUP 2008 ,the BIGGEST promotion in all Mediteranean Islands . As CORSICA was waiting for a new KICKBOXING star after the long and excelent carrier of " SANTU" ANDARELLI now it looks that this young fighter Alexandre LORENZONI will be the one that will bring back the Corsican island as one of the star country for kickboxing.
" 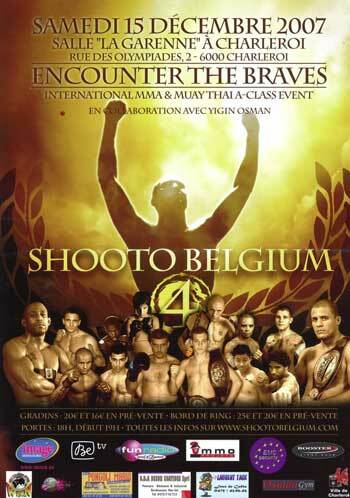 RUMBLE IN CASINO EUROPA 12"
Loris " BLADE AUDOUI " Ready to RUMBLE in ARGENTINA ! Jorge " ACERO " CALI VERY PROUD OF HIS SON " MAXIMO CALI " ! From al WKN members we wish to Maximo, Jorge i silvina all the happines and the best in the world ! cc/ Phto of the future champion MAXIMO ! 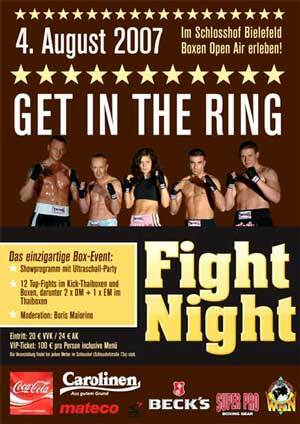 WKN RUMBLE IN POLAND !
" UNITED RUSSIA " TEAM : SIMPLY THE BEST! 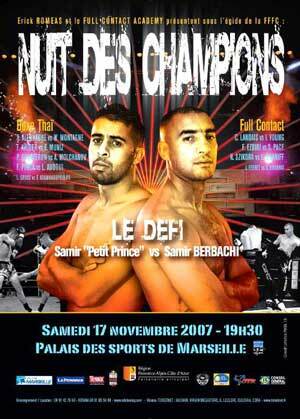 Samir " THE PRINCE " FINALY LOOSE ON POINT AFTER 118 FIGHT UNDEFEATED vs Samir BERBACHI ! 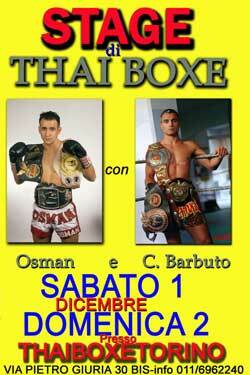 Carlo BARBUTO & OSMAN MUAY THAI SEMINAR !
" 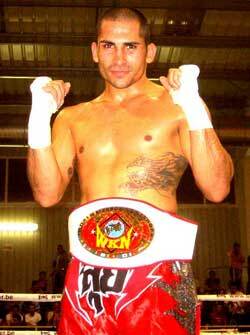 ENCOUNTER THE BRAVE "
WKN WORLD OFFICE is proud to present you today the WKN official web site of LATIN AMERICA . This new WKN branch will be in the charge of MEGABOXING Promotion, the biggest fightsport company in this region under the control and management of WKN WORLD OFFICE . This New branch will represent and be in charge of developing KICKBOXING,THAI BOXING, MMA , BOXING under WKN FLAG in all LATIN AMERICA with contract support of FOX SPORT . The 3 Times WKN WORLD CHAMPION , Jorge " ACERO " CALI , the main and biggest KICKBOXING figure of LATINO AMERICA and owner of MEGABOXING GROUP will represent this new branch . WKN WORLD OFFICE wishes them good luck and all the best ! WKN World office is very happy and proud to introduce you today our new member ! All WKN members and representative wish good luck to WKN HUNGARY and WELCOME into the WKN FAMILY to HUNGARY ! Daniel ZHARA : THE PRIDE OF MALTA ! c/ Sport NEWSPAPERS of MALTA ISLAND. 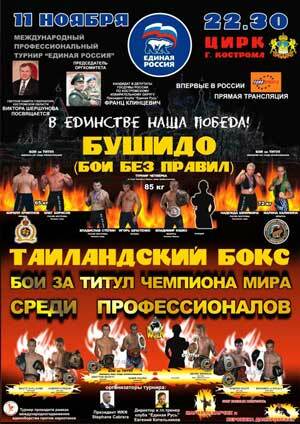 * Promoted by M. Frants KLINTSEVICH and M. Evgenie KOTELNIKOV owner of gym " UNITED RUSSIA "
( 10 PM on 11.1.2007 )! THE ROMANIAN NEW GENERATION : SIMPLY THE BEST ! FIGHT NIGHT 2 : A REAL SUCESS ! 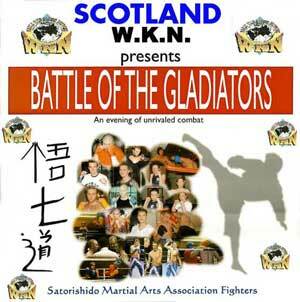 WKN SCOTLAND : SIMPLY THE BEST ! 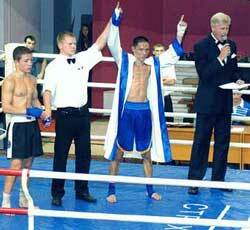 WKN WORLD CHAMPION Andrei KULEBIN WINS AND BECOMES A STAR IN CHINA ! 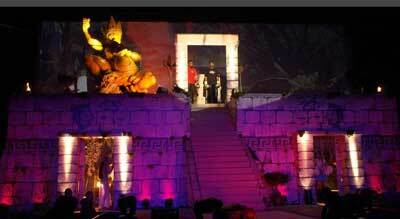 MALTA ISLAND : CAPITAL OF KICKBOXING IN EUROPE ON 27 OF OCTOBER ! 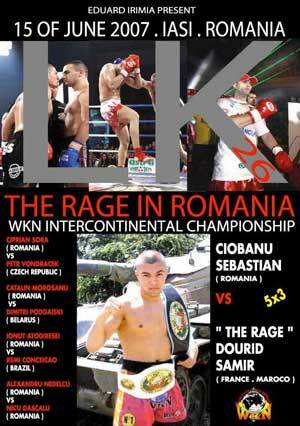 WKN EUROPEAN CHAMPION Patrick RIZZONNE READY FOR ROMANIA ! 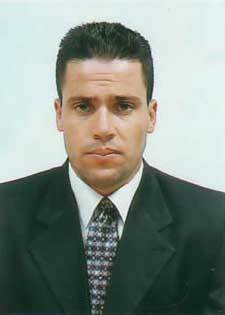 * WKN SPAIN supervisor : RICARDO PEREZ. DAVID "SEFO" ( GYM PUGIL.TERRASSA ) wins on point vs JUANMA CHACON (SIAM GYM.MATARO) "FORMER CHAMPION"
Gary " THE KID OF BELFAST " HAMILTON REAY FOR BOXING CHAMPIONSHIP ! Kickboxing king Gary Hamilton is planning to show he has control of all aspects of the fight game when he crosses to conventional boxing for a title fight next weekend. The Belfast hero has been granted a licence to challenge for the Northern Ireland professional title and will face the experienced journeyman Jamesy Gorman in the Park Avenue on October 13. It’s a huge fight for the 26 year old - who fights out of former four time world kickboxing champion Billy Murray’s ProKick Gym. 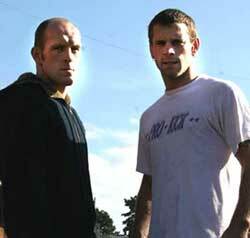 Murray said “Gary is a longstanding and worthy kickboxing champion,” he said. “But he’s made no secret of his desire to fight in boxing. This challenge came up at the 11th hour. We felt Gary had the skills in his box to take it and as he was training for a world title defence, fitness was not an issue. 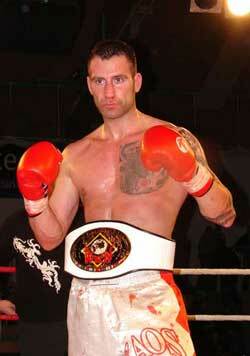 juanma chacon vs david martinez "sefo"
WKN WORLD CHAMPION Jerome LEBANNER IS BACK ! Yesterday in SOUTH KOREA . SEOUL for K1 grand prix final elimination , Jerome LEBANNER wins vs Yong SOU PARK by KO 1 round and is qualified for te K1 GRAND PRIX FINAL 2007 . 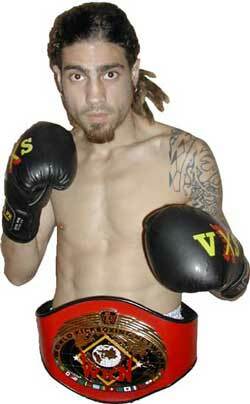 All WKN family wish to jerome to win 2007 K1 Edition ! ARMEN ISRAELIAN : READY FOR Gary " THE KID OF BELFAST " HAMILTON ! 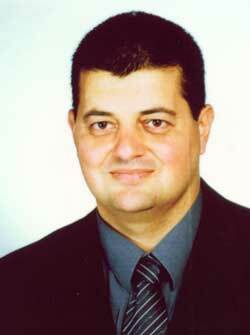 * WKN International supervisor : M. Igor KOROTHKIK . M. Bavon BAMANA MUKANGA is now recognized as the new WKN representive in CONGO and gets all the right and duty to organise WKN activities in this AFRICAN region. 1997 . PRESIDENT and FOUNDER of UKFCDA : " UNION KINOISE DE FULL CONTACT and D.A "
All WKN members and representative wish good luck to WKN CONGO and WELCOME into the WKN FAMILY to CONGO ! WHITE vs MOYON : THE REVANGE IN THE HIGHLAND ! ** more infos will follow soon with poster of the show.
" 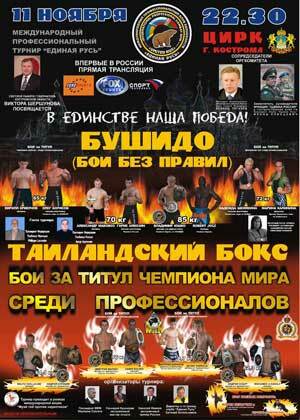 LA NUIT DES CHAMPIONS "
WKN WORLD OFFICE INVITE OFFICIALY FRENCH MUAY THAI FEDERATION PRESIDENT TO RUSSIA. * After a meeting with M. Philippe LACOMBE , the PRESIDENT of FRENCH Muay Thai federation ( FMDA ) in FRANCE , WKN WORLD OFFICE agree to invite him to KOSTROMA for an important meeting with WKN EAST EUROPEAN representative ( UKRAINE , Diferenrents RUSSIAN Region , BELARUS + .. ) and the MUAY THAI FEDERATION of RUSSIA for some posible agreement and international WKN promotion EAST EUROPE vs FRANCE in a near future . Recognize in amateur by the IFMA and working hardly to get an olympic status of MUAY THAI , M. philippe LACOMBE and the FMDA are working closely with WKN to give to MUAY THAI a real promotional and mediatic campaign and institutional support in FRANCE . This importnat meeting wil also celebrate the real historical friendship between FRANCE and RUSSIA . 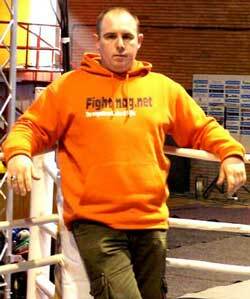 cc/ Photo of M. Philippe LACOMBE / President of MUAY THAI FRANCE FEDERATION ( FMDA ). WKN 2008 CALENDAR COMING SOON ! Soon available for all WKN contact and representative . CARRIBEAN TOP STAR Loris " THE BLADE " AUDOUI will challenge FRENCH Fabio PINCA ! Today WKN World office in colaboration with M. Erick ROMEAS agree to take Loris " THE BLADE " AUDOUI , the current WKN world kickboxing champion to fights vs French star Fabio PINCA in MARSEILLE during " LA NUIT DES CHAMPIONS " . 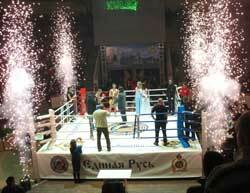 KICKBOXING EXPLOSION IN SARATOV ! 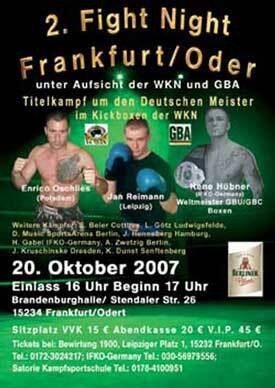 After the huge success of the EUROPEAN CUP 2007 in TORIONO / ITALIA , WKN WORLD OFFICE will re-organise the CUP in 2008 . For all WKN EUROPEAN COUNTRIES which will be interested in EUROPEAN CUP 2008 PROMOTION, please contact WKN World OFFICE with all information about your possibilities and motivations to Organise this Event. In November 2007 WKN World Office will select the Best Country with the more serious and posible offer for this Promotion. 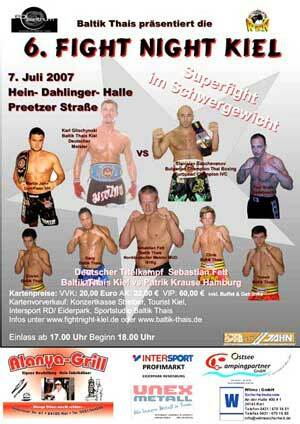 If you are interested in promoting this 2008 EUROPEAN CUP , Please contact WKN world office that will give you all the mecessary informations and financial conditions for it . Adrian AXISA start WKN show in MALTA ! 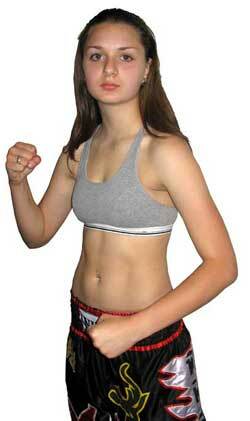 Maud MASSON from Team FERNANDEZ.DOUSSOT / FRANCE the current WKN EUROPEAN Champion ready to RUMBLE in MALTA !! BELARUS & MALTA ISLAND INVADE ITALIA ! 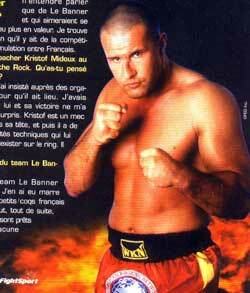 THE PHENOMENON Andre " THE BULLET " KULEBIN SOON IN FRANCE ! FRANCE during the next VXS1 session under agrement of WKN world office . 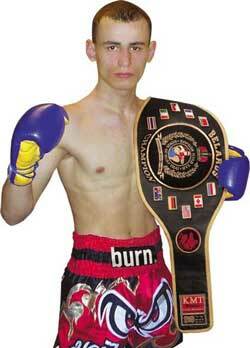 10 time world champion in all major federations and curent 3 times WKN World champions Muay Thai he is consider as one of the best MUAY THAI fighters in the world . 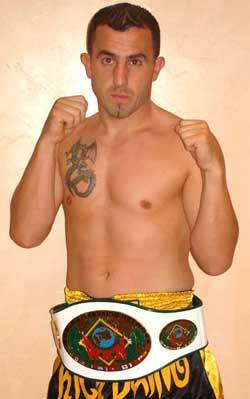 Winner of the 2 last I1 in HONG KONG / CHINA and training by best belarus trainer M. Evgenie KOTELNIKOV , it was a dream for him to compete vs Top french fighters and after a meeting with WKN World president in MINSK in may 2007 they decide to invite him as soon as posible in FRANCE . 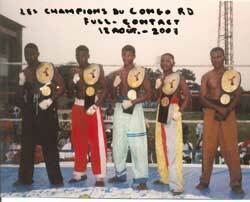 WKN FRANCE office is working seriously to have the posibilities to promote again with title fight . 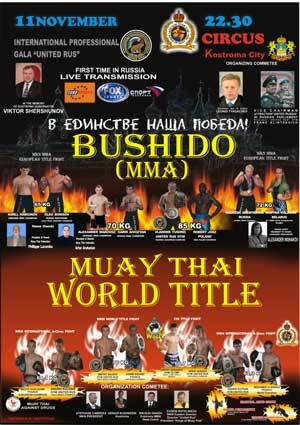 The option to have Andrei " THE BULLET " KULEBIN defending his WKN world championship in FRANCE is still possible . Jorge " ACERO " CALI RECOVER TO START THE NEW SEASON ! * After a long 7 months period of recovery due to an injurie during his last WKN WORLD CHAMPIONSHIP in MAR DEL PLATA / ARGENTINA , " ACERO " will probably fight in PANAMA in OCTOBER 2007 . This joign promotion with FOX SPORT Latino America and MEGABOXING in agreement with WKN WORLD OFFICE that is the exclusive organisation to broadcat FIGHTSPORT in this TV NETWORK wil be the first one promoted in PANAMA . For this first and exceptional event suported by new WKN representative Roberto " MANO DE PIEDRA " DURAN , Jorge CALI will probably get a warm up fight ( oponet is still not anounced for now ) before to defend one of his 2 WKN WORLD CROWD in BUENOS AIRES in the LUNA PARK sport COMPLEX . more infos will foloow soon . 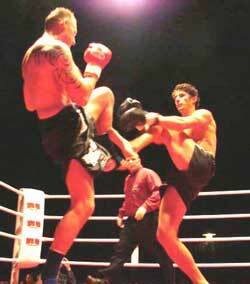 * WKN World office is proud to present you the No.1 kickboxing and mma internet site in french language. Mr. Jerome LOISEL the redactor-chief of the magazine is also well known in France for his true words and it is considered as one of the best world specialist of our sport . 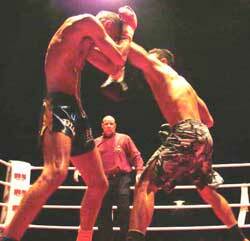 He is also one of the best international kickboxing and thaiboxing referee. Long life to fightmag.net ! 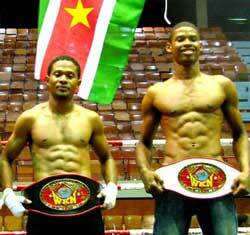 "Stanislav BACHEVANOV ready for SMACKDOWN "
"LA NUIT DU KICKBOXING "
Roberto " MANO DE PIEDRA " DURAN runing WKN PANAMA ! 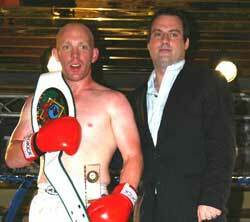 first WKN promotion in PANAMA in october 2007 ( date to be confirmed ) . 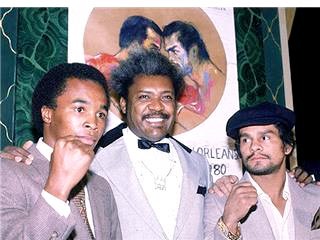 boxing legend Roberto " MANO DE PIEDRA " DURAN . WKN activities in that region .
" CALI and some fighters from diferents WKN offices : MEXICO , CARIBEAN , AERGENTINA , CHILE , URUGUAY , COLOMBIA . June 16, 2000: Won the NBA World Supermiddleweight title in a fight vs. Pat Lawlor. February 24, 1989: Took the WBC Middleweight Championship from Iran "The Blade" Barkley in a 12 round points victory. June 6, 1983: Awarded WBA Junior Middleweight Championship when he knocked out Davey Moore in the eighth round. June 20, 1980: Won 15 round decision when he out-muscled WBC Welterweight Champion Sugar Ray Leonard and took the world title. June 26, 1972: Took WBA Lightweight Championship from Ken Buchanan in the 13th round. 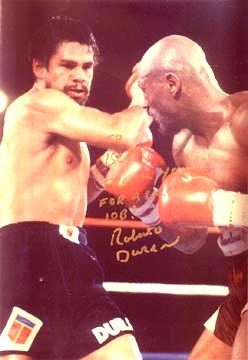 The fight was also Duran's 30th straight win, 19 of which were KOs. THE RUSSIAN TEAM IS READY ! WKN WORLD OFFICE has agred today to nominate the official RUSSIAN challengers to participate in NEW WKN PROMOTION in SARATOV promoted by M. Mikhail BREDSINSKI under the supervisation of M. Igor KOROTHKIK . More infos with posters and press will follow . 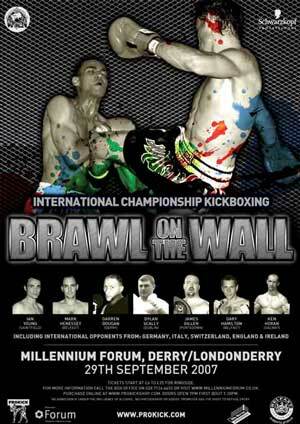 This event will take place in the Millennium Forum in Londonderry. The event is supported and under the rules by the WKN and is sponsored by Schwarzkopf International a grade A hair product company. The event will broadcast on www.ProKick.TV and will be post produced for various TV stations and networks around the World (stay tuned). This will be biggest Kickboxing/Martial Arts event to come to the city of Derry or anywhere in the North West of Ireland. 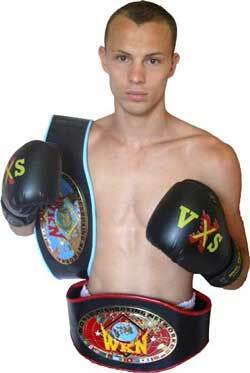 Patrick CARTA ready for WKN WORLD CHAMPIONSHIP ! 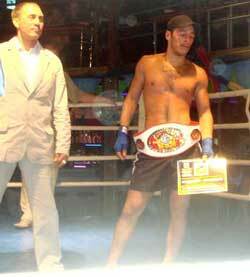 WKN ITALIAN Representative agree today to promote his next show in TORINO on 28 of SEPTEMBER 2007 . The main even will be the WKN WORLD Championship -56,500 kg between European champion patrick CARTA and an oponent to be named soon by WKN WORLD OFFICE . In the same card will be promoted the WKN WORLD CHAMPIONSHIP of Martina BERNILE and the EUROPEAN CHAMPIONSHIP of Stefano DEGERIBUS . 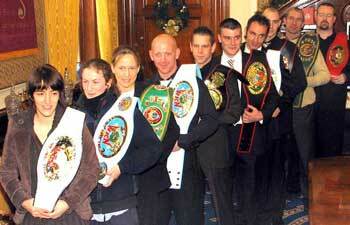 CARTA " TALE OF THE TAPE "
WKN NORTHERN IRELAND & IRELAND TEAM READY TO RUMBLE! Irish atomweight champion. Spence is a brave, gritty fighter who has overcome cancer to take her crown. 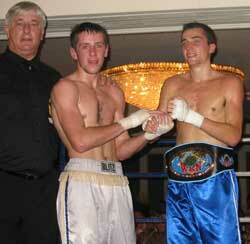 Celtic Bantamweight champion. A supreme athlete, the health club manager is also a reigning karate world champion. She loves the rigours of both sports. European amateur champion. The north Down builder came to ProKick as his three cousins were already members. His natural ability and terrier-like spirit are certain to carry him to further glory. World featherweight champion. He is the fighter all others in the gym, and across Ireland, look up and aspire to be. A quietly spoken gent outside of the ring, the Belfast man is a Tasmanian devil inside. 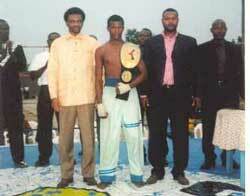 World amateur Light middleweight champion. Was nicknamed the Grim Reaper because of his deadly, unstoppable right hand, he gave up a promising football career to concentrate on the ring. 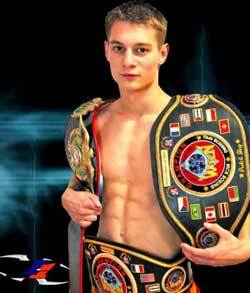 European amateur super welterweight champion. A former league winning footballer with Linfield, the Newtownards based insurance broker is the gym pin-up and has a bevy of female fans who follow his every fight. 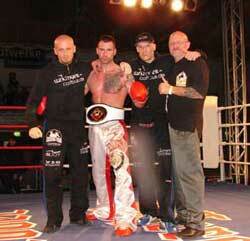 European amateur middleweight champion. This law student has a realstyle and grace in the ring. It took him past much more experienced fighters to his title and will carry him to a shot at world glory. Amateur World champion. The car salesman from Galway has made Prokick his adopted home and frequently makes gruelling round-trips to train in the gym, such is the quality of coaching on offer. Amateur Celtic heavyweight champion. A fighter with a lot of guts and a big heart who came to kickboxing after seeing Murray beat Thai legend Chart Singh at the Waterfront Hall in 2000. 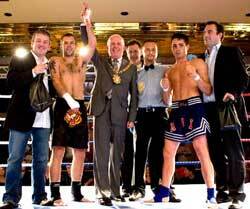 Amateur Celtic Nations champion. A fighter promoter and instructor. Darren runs the Golden Dragon Tai Jitsu club in Magherafelt. A store manager by day and a ninja by night. DON KING BOXING & KICKBOXING EVENT : A GREAT SUCCESS ! // More photos will follow soon ..
CATALIN MOROSANU : THE ROMANIAN IRON MAN ! TOP SPANISH FIGHTERS IN MADRID ! GLISCHYNSKI vs BALCHEVANOV : THE FIGHT IS ON !! 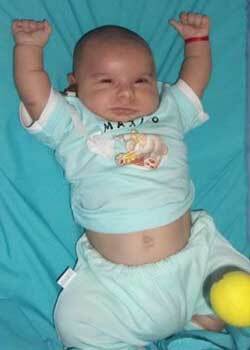 Armen ISRAELIAN WORLD CHAMPION ! Samir " THE RAGE " DOURID READY TO RUMBLE IN DRACULA COUNTRY " LK 26. 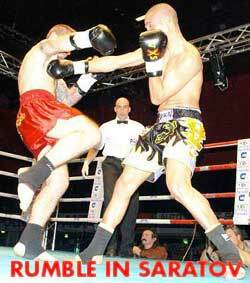 SEBASTIAN CIOBANU ( ROMANIA ) vs SAMIR " THE RAGE "